Radnja - Online Shop - gde mozete da kupite pravoslavni krst, srpski privezak, sprski prsten,sprski grb,srpki orao, sprska kruna, sprska kokarda. Srpski nakit prodavnica. Jeweller Celebrating 20 Years in Hamilton Ontario with a SALE! Up to 60% OFF during this rare and very special sale! 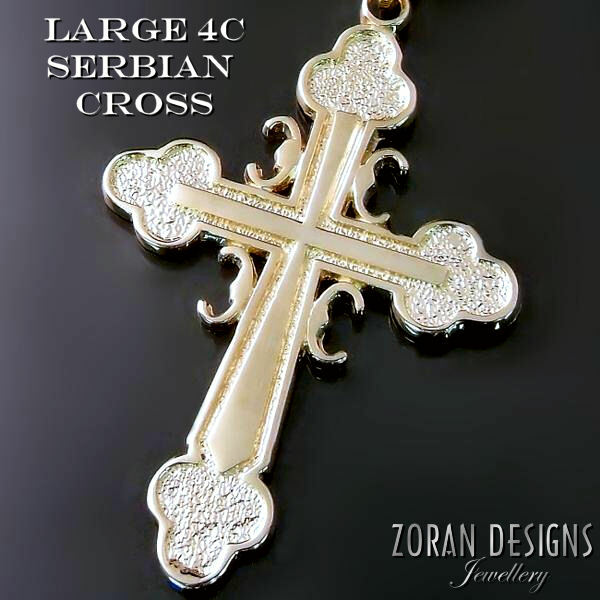 Our Serbian jewelry and Orthodox crosses get consistent top marks. Hare are what some of our customers had to say about their purchases. 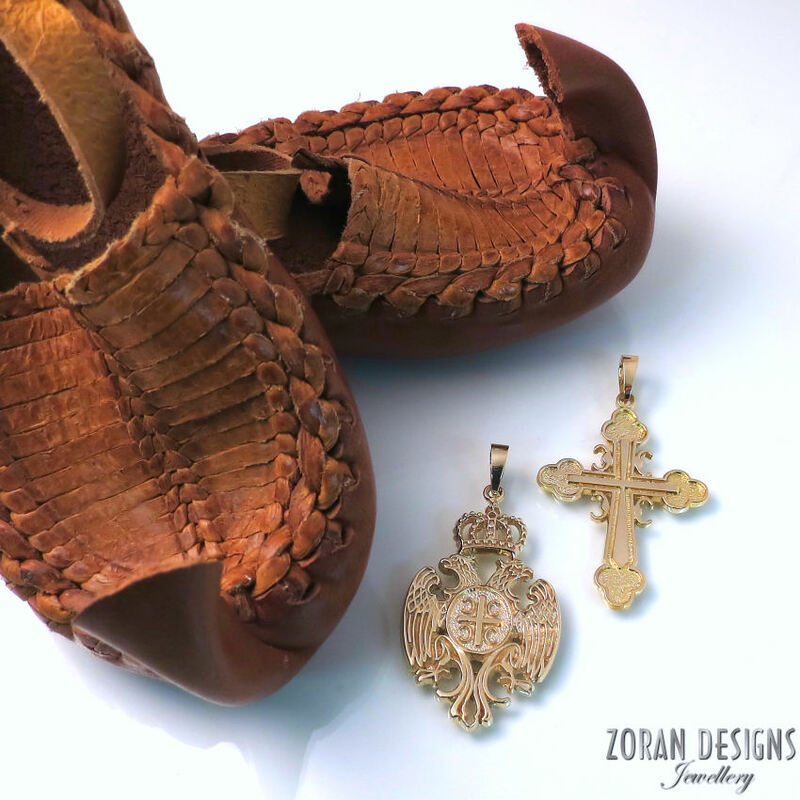 Shop our Orthodox crosses and Serbian jewellery online or visit our store if you live in the Hamilton, Niagara or greater Toronto area. Throwback to this unique engagement ring / wedding band. This was one of my favourite custom design projects of 2016. The organic, sculptural design was cast in Platinum and paired with an Emerald for an unconventional bride. More about this ring here. Wishing all you crazy love birds a very happy Valentine's day! Jewellery is always a nice treat for your sweet, heart themed or otherwise. Featured here: lockets, a tiffany style silver bracelet and heart leaf earrings. We'll be open 10-6 on Tuesday February 14th for your last minute Valentine's Day gift needs. We take great pride in providing high quality product and service and our customers take notice of that. 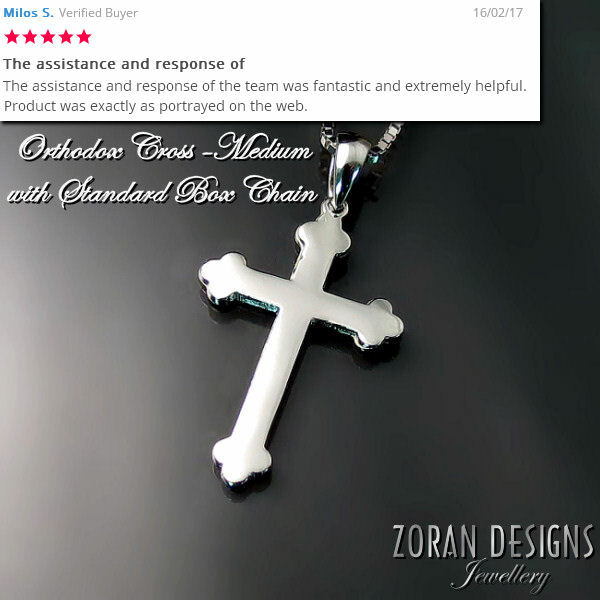 The feedback for our Orthodox cross pendants has been exceptional and we thank all of our customers who take a moment to submit a review. Here are some recent reviews from people who purchased one of our gold Orthodox crosses, whether for a Baptism or as a general gift. This beautiful couple recently got engaged and I'm thrilled they chose me to bring their dream engagement ring design desires to life. 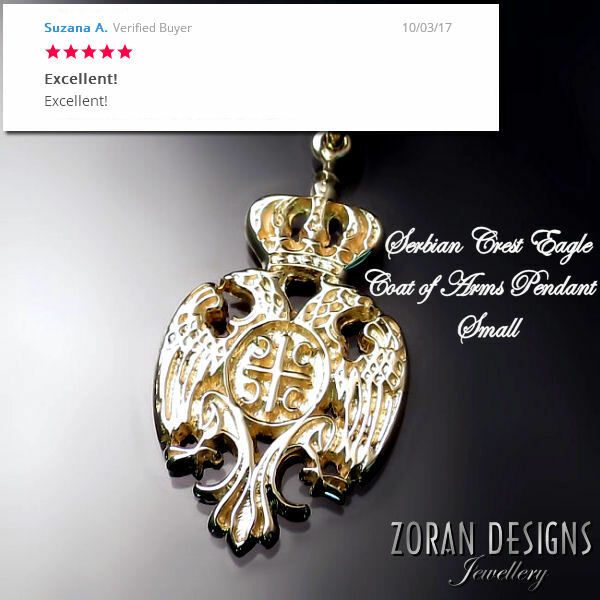 Sharing a few recent customer reviews for our Serbian and Orthodox crosses. High quality products and service breeds happy customers. 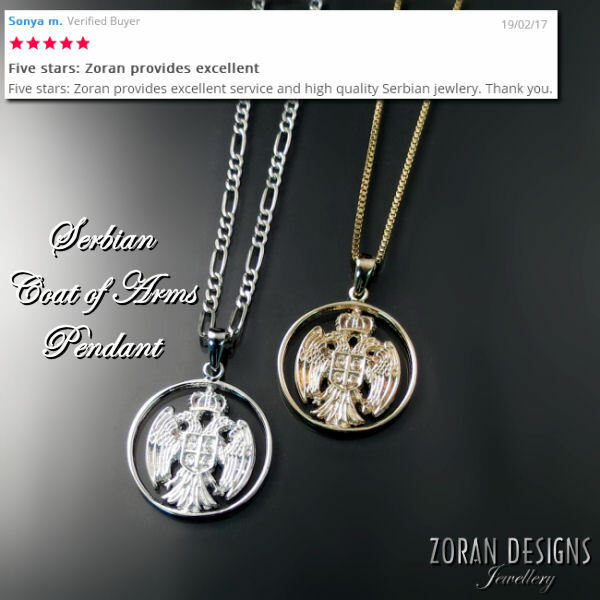 Whether you bought your Orthodox cross from our online shop or in person by visiting our jewellery store in Hamilton Ontario, we love hearing that you love your purchases from Zoran Designs! 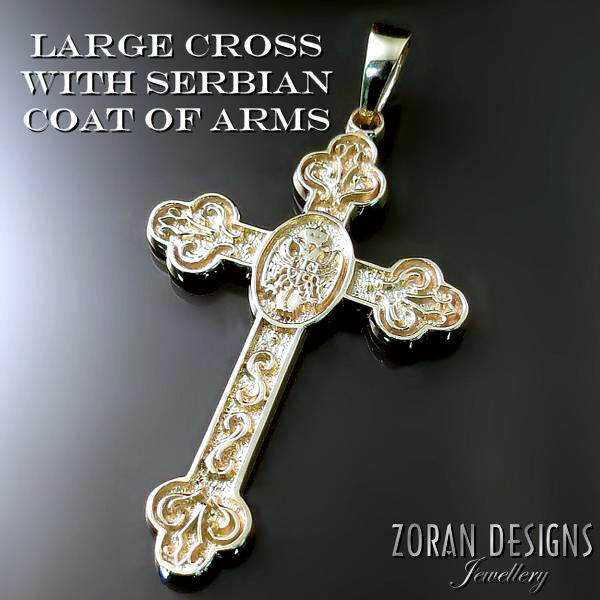 We're running a special promotion on select items from our Serbian jewellery collection. Our biggest pieces and Christmas best-sellers are reduced by up to hundreds of dollars. More info via our online shop. This real wedding feature shows a glimpse into Jack and Martha's charming Rockton wedding. These two were such a joy to work with; So happy, full of love and bursting at the seams with positive energy. Just thinking about them as I type this puts a huge smile on my face. It started with Martha's unique engagement ring, then His and Hers wedding bands, special jewellery wedding gifts for each other and finally bridal jewellery for the bride to wear on the big day. The wedding rings were so meaningful to this couple that they included photos of them and a write-up right in their wedding program. I'm truly honoured to have been a part of their remarkable journey. This unique men's wedding ring was a recent custom design project for a Greek gent. Made in two tone 18K gold, it includes personalized symbols meaningful to the client and features a distressed finish. Girls usually get all the fun where engagement rings and wedding bands are concerned so it's a treat when I get to design an unusual men's wedding band. This one has a continuous design that's different from every angle. View the video below for the full 360. St. Andrew style Orthodox crosses have been added to our online shop. These Orthodox cross pendants are available in three sizes and can be purchased in 14K yellow or white gold. 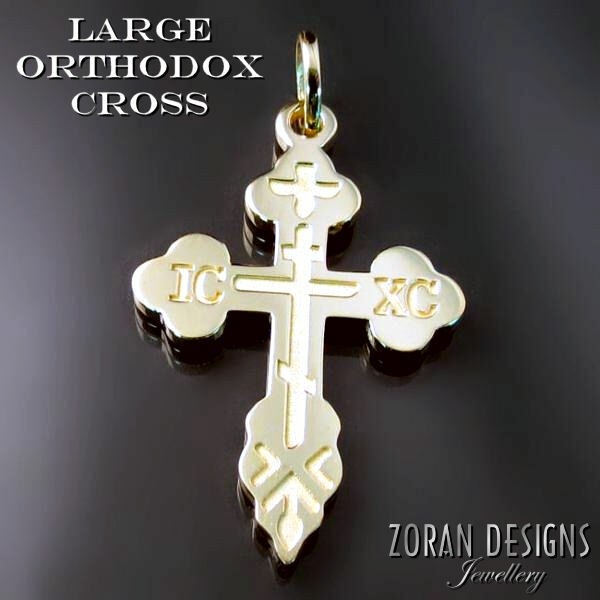 This classic Orthodox cross design (sometimes referred to simply as the Eastern cross) is especially popular for Russian, Greek and Ukrainian Orthodox baptisms. Summer style calls for colour and all those cute summer outfits call for cute accessories. Our Drip Drop dangle earrings are the perfect little pop of colour. Made in sterling silver with a pretty cluster of gemstones and Swarovski crystals, they're only $55. Available in-store only while quantities (and colours) last.